Does Brave have you yearning to spend more time in the Highlands of Scotland? If so, I've got a few other pieces of genre fiction that will keep your heart and mind in this green and bonny land. 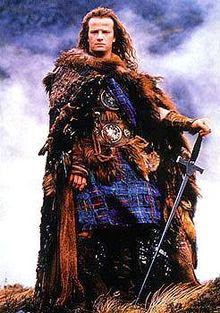 Highlander tells the story of an immortal who was born in Scotland in the 16th century and ever since has battled other immortals to quite literally keep his head. It's a movie of epic accents, bad '80s fashion and abundant swordplay. Clancy Brown plays one of the best villains in the history of cinema, and Queen provides a sweeping soundtrack. If you haven't seen it yet, what are you waiting for? One warning: Under no circumstance should you watch the loathsome second movie, although Nos. 3 and 4 are acceptable for superfans. 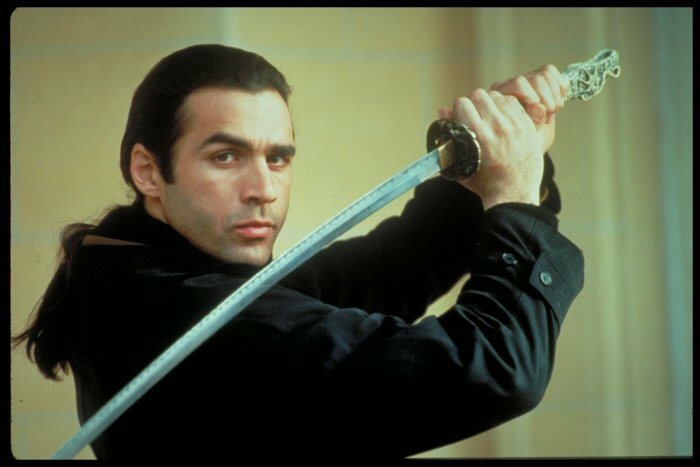 I enjoyed Highlander the movie, but my heart belongs to Highlander the TV series. While the movie focused on the immortal Connor MacLeod, the TV show tells the story of the immortal Duncan MacLeod — same clan, different vintage. Every episode features a flashback to an earlier time in Duncan's life, or in the lives of his immortal friends who drop in periodically. The storytelling occasionally flirts with the cheesy, but it also tells sad, moving stories of the high price of immortality when the people around you continue to age. Bonus points go to Duncan's wild-child thief paramour, Amanda, whose scored a spin-off in Highlander: The Raven. This unjustly overlooked werewolf film is set in Scotland. It's scary, bloody and nimble, and it stars Kevin McKidd, who can do no (well, little) wrong. 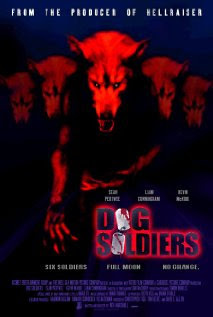 Dog Soldiers will go on your roster of cult classic horror films that you recommend to your less enlightened friends. I must sheepishly admit that I haven't read this much-loved time-travel series that transports a World War II-era nurse to 18th century Scotland. Rest assured, it's on my list. Hordes of passionate readers can't be wrong, and I'm thrilled to have thousands of pages to sink my teeth into. This dark little Danny Boyle comedy isn't a genre film, but it does star Christopher Eccleston, which is enough to land it on the list. If tells the story of flatmates, a corpse, and a pile of money. To say more would spoil the twisted way the film unfolds. Yes, it's an old-timey Hollywood musical, but it's got catchy songs in a kilts-and-lassies setting with a time travel twist. It's wholesome and a little hokey, but the music and the setting are lovely. 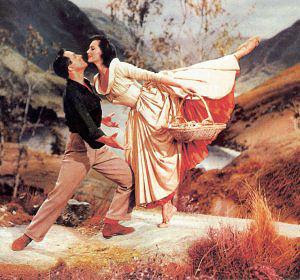 Plus, Gene Kelly! Singing! Dancing! Plaid! 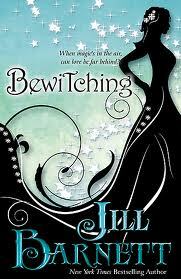 Traditional Regency romance meets a witchy woman in this satisfying novel. If you're a sci fi/fantasy reader wondering how to branch out into other genres, as Laurie recommended, this is a great first romance novel to start with. This is another non-genre film, but it's perhaps Mike Myers' funniest movie from that golden time when he was actually funny and not a tired retread of himself. And quite frankly, more people need to see it. Myers' character is the son of Scottish immigrants, and Myers does double duty as the Scottish father. Watch it, and you'll understand that it's an emergency when I tell you that "We have a piper doon! 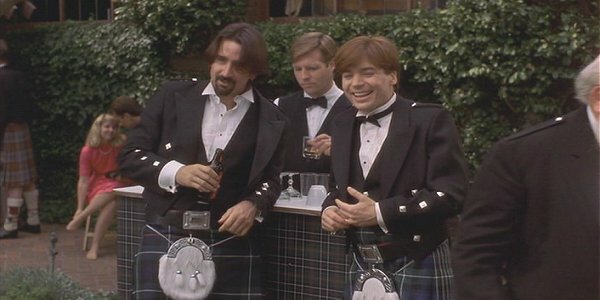 A piper is doon!" 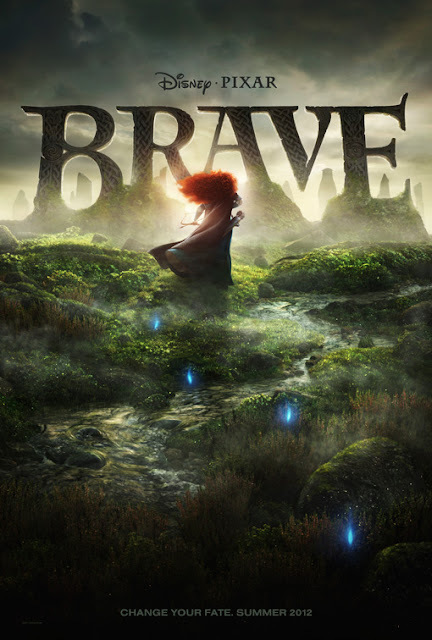 Of course, if you really, really can't get enough Scotland, there are always the Brave-themed travel itineraries available through Scotland's tourism board. Mystery novels by Ian Rankin & Val McDermid - the former especially if you want to get the creeps about Edinburgh. I would very much like to get the creeps about Edinburgh. Thanks! The paranormal romance series by Donna Grant called Dark Swords is awesome! You could also attend my Tuesday conference call with 3 dudes from Glasgow. Authentic Scottish dudes! Same time every week! Oooh. Any chance they're also immortals?